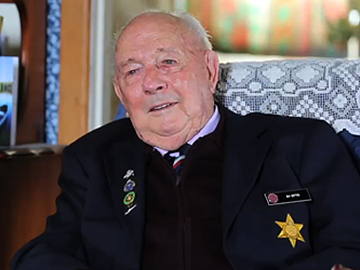 Ken Bliss’s brief description of his father’s service in the Boer War is just one of the stories that make this interview essential viewing. 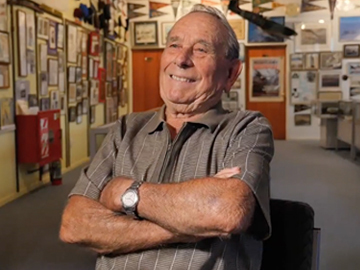 Ken’s own military career began when he was called up at 18, in 1941. 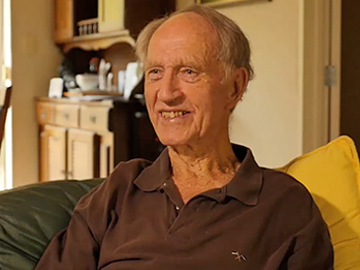 Too tall to be a pilot in the RNZAF, he became a radio mechanic and served in the war against the Japanese in the Pacific. Forming a surf lifesaving team on Bougainville to rescue American servicemen who couldn’t swim was an unexpected wartime duty. 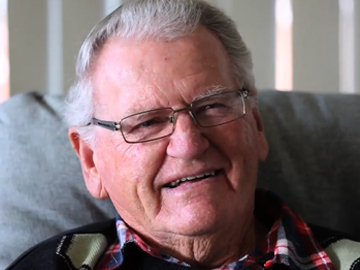 And having survived the war, a missed train in 1953 meant Ken also survived the Tangiwai disaster. Like many of his generation in the United Kingdom, Ray Green was called up for National Service. But it wasn’t until he and his mates were almost on the troopship heading to Korea in 1951, that they realised they were going to fight. Green’s Welsh regiment spent a full year in the combat zone. Danger was ever-present as they patrolled on pitch black nights with the enemy just two thousand metres away, or over the next hill. As he recounts in this interview, Green escaped death or injury on several occasions. He relives it every night, but says it was an adventure he wouldn’t have missed. 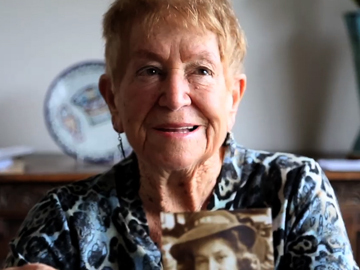 Gwen Stevens was one of the last survivors of World War ll's top secret Auckland Combined Military Headquarters. There she plotted grid references from New Zealand’s coastal radar, tracking the coming and goings of ships and aircraft. The threat of a Japanese invasion had everyone on edge. At one point there was panic when it was believed an aircraft carrier had been detected off the coast. All services were mobilised, but it turned out to be a mistaken reading of the Three Kings Islands. Over 70 years later, Stevens' recall remains clear. 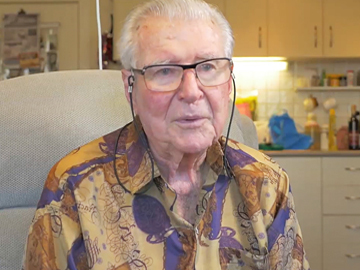 Stevens passed away on 1 January 2018. 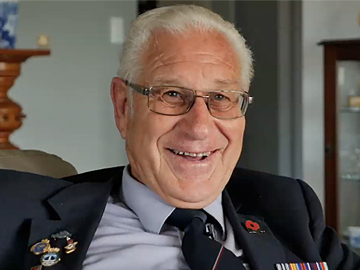 Ron Childs’ father had fought at Passchendaele in World War l. With another conflict looming, Ron signed up for the Territorials at age 18. A few months later war broke out, and he was in the army, guarding the entrance to Wellington Harbour with heavy artillery and searchlights. 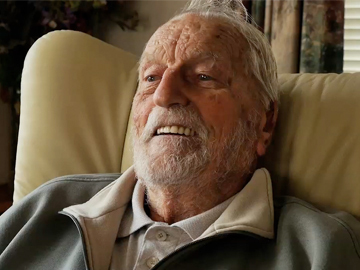 Poor health meant he never made it overseas; he spent the rest of the war on the home front. Serving in both the army and the air force, Childs was variously a gunner and dispatch rider. 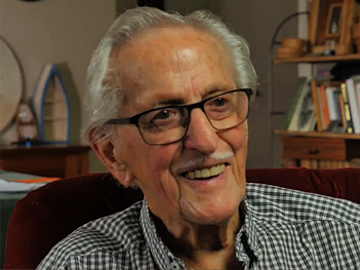 World War II veteran Everard Otto volunteered for the Territorials at 18, helping supply Americans troops based in New Zealand. But his real war story began when he turned 21 and was sent overseas. He eventually arrived in Italy as a staff car driver. Mostly behind the lines, Otto’s memory of service is based around the brutal battles for Monte Cassino, watching the cruel fighting and bombing that razed the famous hilltop monastery. Returning decades later he found the countryside largely unchanged. He even found the dugout where he spent four eventful months. In his matter-of-fact way, James Murray reflects on some of the horrors of the War in the Pacific. 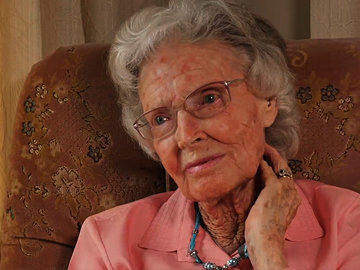 Joining the New Zealand Navy at 17, Murray found himself aboard an American destroyer, watching the first atomic bomb explode above Hiroshima. “We thought they’d blown up Japan,” he says. Earlier, aboard HMNZS Gambia, he’d watched Japanese kamikaze planes attempting to sink the aircraft carriers his ship was trying to protect. Later he was among the first to land on the Japanese mainland, helping take control of the Yokosuka Naval Base. Arthur Joplin was just 20 when he was awarded his wings and set off on active service to the UK. Joining Bomber Command, he was assigned to the famous 617 'Dambusters' Squadron. That was after the famous raids in Germany's Ruhr Valley, but Joplin took part in other special operations including the sinking of the German battleship Tirpitz. Joplin's war ended when he crash-landed while returning from a raid, killing two crew members. That’s something he’ll carry with him for the rest of his life, he says. Joplin broke both legs and never returned to flying.